Home > 33 1/3 > Announcing: The Fall 2018 33 1/3s! We’re excited to bring you the Fall 2018 lineup of 33 1/3s! This batch is one of our most eclectic yet – from fan favorites like Tori Amos to the religious-secular stylings of Jesus Freak, with feminist and film studies readings, there is a lot to look forward to with these books. We can’t wait to bring you these come Fall ’18! We promise, they’ll be worth the wait. 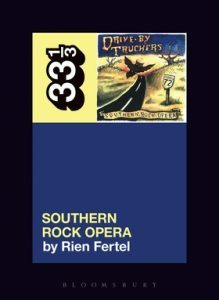 The Drive-By Truckers’ Southern Rock Opera takes listeners on a road trip through the American South, with stops along mean old highways and soul-sucking swamps, iconic recording studios and doomed chartered jets, and even Heaven and Hell. Along the way, the Truckers attempt to untangle the mess that is southern history by exploring the contradictory, dualistic nature of the region. Samantha Bennett takes a film studies approach to analyzing Peepshow, an album from UK cult favorite Siouxsie and the Banshees, drawing on more than one hundred films and film scores to reveal a panoply of cinematic influences woven into the music. Bennett proves that, ultimately, Peepshow can be read as a soundtrack to all the films Siouxsie and the Banshees ever saw. 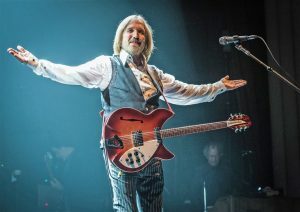 Or perhaps it was the soundtrack to the greatest film they never made. Over her career, Tori Amos has drawn a range of intense reactions to her music and performances. Boys for Pele demonstrates that reactions to women’s art is often organized around disgust, as if women can’t be expressive without drawing a strong reaction. Using Boys for Pele as a jumping off point, Amy Gentry illustrates women’s participation in art among this “aesthetic of disgust”. dc Talk’s Jesus Freak explores a rare moment of cultural convergence between Christian and secular music in the series’ first Christian hip hop entry. 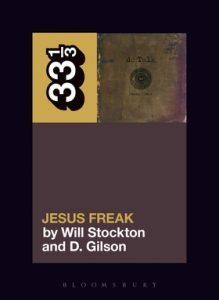 Written by two queer scholars with evangelical pasts, Jesus Freak presents a unique perspective on a variety of topics, including race, sexuality, gender, and politics. So there you have it! Which ones are you most excited about? Give us a shout on Twitter @333books and continue to follow along for more updates.